Far Away evokes a world on the verge of disintegration, and probes issues extremely topical in our present era. Dark, futuristic and epic, this story deals chillingly with the dehumanisation of the ‘Other’ in times of war. 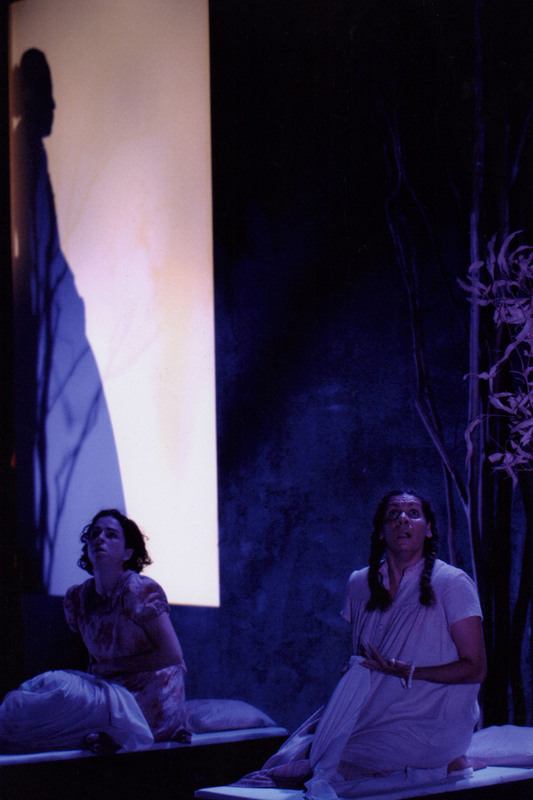 The set includes a double revolving stage that chimes with the dichotomies of the play, and splits in half to transport us from Grandma’s eerie cottage home in the woods to a “Schindler’s List-esque” hat factory. “The hats themselves are a remarkable array, paraded by a veritable army of volunteers, and a credit to the designer Tanja Beer allude to the various “hats” we choose to wear in our daily lives, the different roles we play, the choices we make ideological and emotional”. 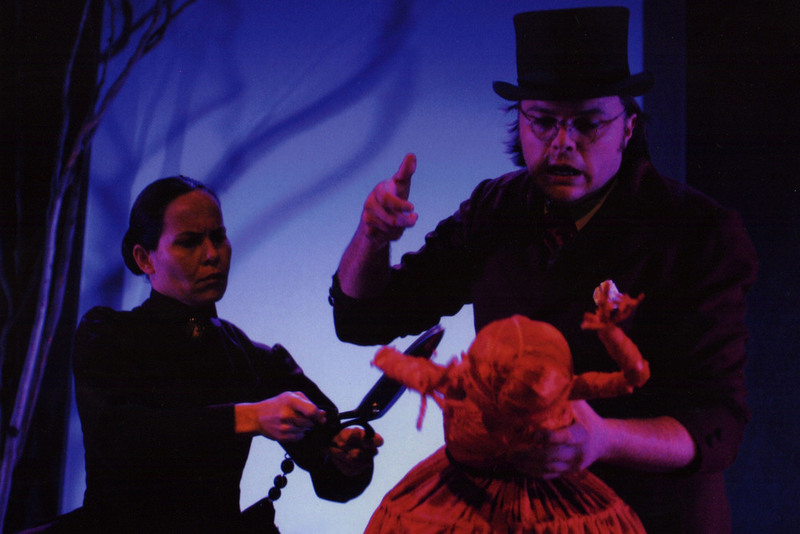 The Orphanage Project is an Australian Gothic fairytale, told in a mythical, timeless orphanage. Several characters and stories are played out in various locations against the backdrop of the Australian landscape. 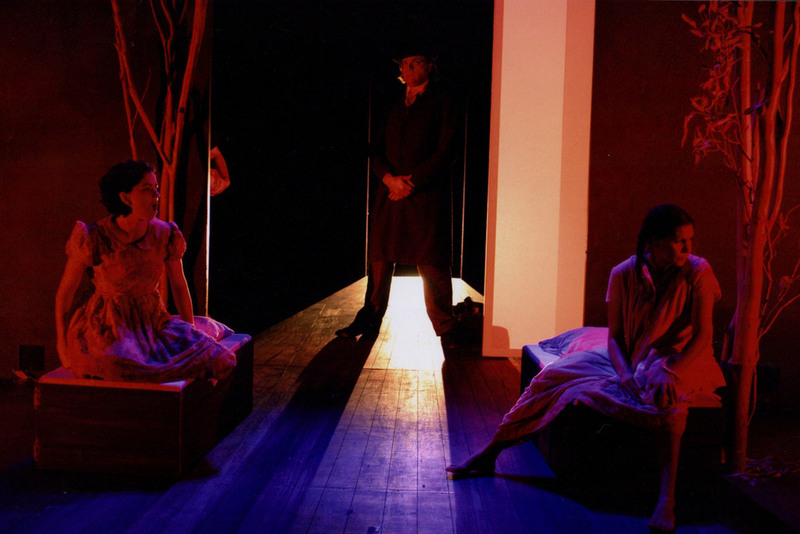 The set and direction makes use of the wide performance space and transports the audience through time - from the early settler’s frontier, to a 1900’s orphanage, through to a contemporary prison. The use of shadow play on the screens creates a haunting effect, a reference to the spirits haunting the past of this Nation.